The story of The Grove Bible Chapel is a story of God’s faithfulness and blessing, and it is a declaration of the surety of Christ’s commitment to build His church. The story of The Grove Bible Chapel is a story of God’s faithfulness and blessing: a declaration of the surety of Christ’s commitment to build His church (Matthew 16:18). Our church formally launched in August of 2016; the outpouring of a core group of 66 people, likeminded in faith. The Grove Bible Chapel was planted with the sole purpose of glorifying God through the fulfillment of the Great Commission. We have only just begun and, by God’s grace, we have already seen lives changed, marriages restored and many baptized. We are an Elder-governed, staff-lead organization, with a variety of ministries including offerings for men, women and students. However, the heartbeat of our discipleship model is found through our Small Group ministry. It is here that we seek to fulfill the “One Another’s” of the Bible, as we strive to become an Uncommon Community; one in which we don’t just gather with one another but, rather, we gather for one another. 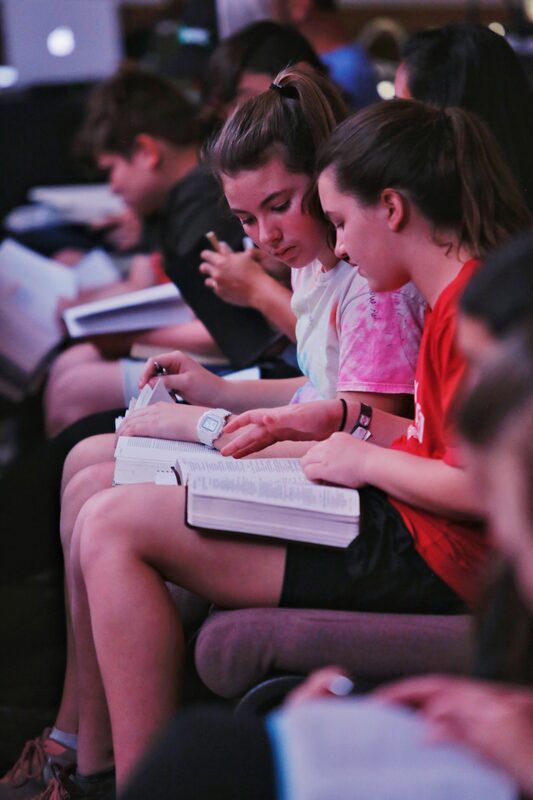 The Scriptures are our greatest treasure and we work diligently to teach our people, verse-by-verse, each week. The Grove Bible Chapel is committed to the Bible’s teaching that men who hold the offices of Elder and Deacon are to oversee various functions of the local church. We are a totally autonomous church that is part of a greater collective of churches who are all committed to planting, multiplying and strengthening churches. We are an Elder- governed, staff-led church. This was the same call to our church and it broke down into two parts: Building God’s House and Building God’s People. The building of God’s house, spiritually, was the thrust of our study in 1 Timothy, as we examined the spiritual structure of God’s house, in this great epistle. The theme, coming out of chapter 3, verses 14 -15, is established when Paul states his reasons for writing is that we might know how to conduct ourselves in the household of God. And so we have looked at the great charge against false teachers and the charge to guard the truth of the Gospel. We move, next, into our study of 2 Timothy, which gives instruction about Building God’s People, as seen in chapter two, verse two, when Paul says, “And these things which you have heard from me in the presence of many witnesses, these entrust to faithful men, who will be able to teach others also.” From this, we see a four generational example of discipleship: Paul to Timothy, Timothy to Faithful Men and Faithful Men to Others. We want to be a church of disciples, who are committed to making disciples. To that end, we also have exciting plans to Build God’s House physically, as well! Our capital campaign of 2018, called Horizon and Beyond, raised over $3,500,000 to be used for the construction of our new church home in the Hamlin Community. We are anxious to have a facility of our own and look forward to this 300-seat building being complete in early 2020.